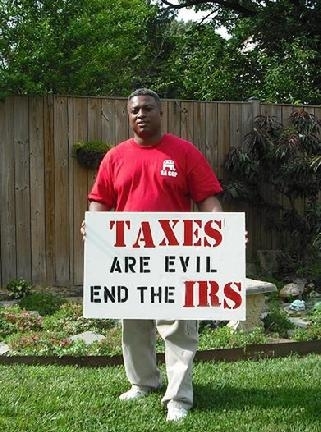 Back in March of 2012, a New York Times editorial praised the IRS for challenging tea party groups, saying the same should be done for the larger national organizations that the Times saw as abusing the tax code to hide donors. Now everyone from Moveon.org to the Heritage Foundation has a 501(c)4. The number of 501(c)4 applications the IRS is getting more than doubled in recent years, rising from 1,500 to more than 3,400. That, by the way, is their explanation for the added scrutiny of the tea party groups: They weren’t trying to look specifically at conservatives. They were just trying to separate out the organizations that seemed likely to be overly political. The only real sin the IRS committed in its ostensible targeting of conservatives is the sin of political incorrectness—that is, of not pretending it needed to vet all the new groups that wanted tax-exempt status, even though it mostly just needed to vet right-wing groups. But that isn't what Tea Party groups were doing, and vetting isn't what the IRS was doing. The Tea party Groups were all essentially self-supported, with most donations from their members and literally passing the hat at rallies. They -- OK, we -- were, and still are, engaged primarily in educating our communities about America's history and the danger of straying too far from our founding. Tea party groups fit squarely in the description of "social welfare" organization as "a community movement designed to accomplish community ends." Well, I think one thing I'd like to point out is that some of these media organizations have been saying that here's these Tea Party anti-tax people, and we were "filing for 501(c)(4) so we could avoid paying taxes." Nothing was further from the truth. We're farmers and business people, and we were having bus trips that cost money. And we needed insurance and things, so you had to form a company. We thought we were going to be companies. So in a pre-Citizens United world, you couldn't take a bus trip to Washington, because that's a political act, and we didn't know that. So the 501(c)(4) came from the IRS. We didn't ask for the 501(c)(4), we were told we must be a 501(c)(4). Liberal groups have not in fact been separated out for similar scrutiny, and the level and type scrutiny itself is as outrageous as the fact of being targeted based on political ideology. As Zawistowski told Cato, the questions were "clearly politically motivated." They did not ask us about our electioneering activities. You know, electioneering is a legal term, it means a very specific thing. Why didn't they ask us if we had given money to candidates or to parties? They never asked those questions. They want to know how many donors you have, how much they gave you, who are your members, how many members do you have, who spoke to you, what do you know. There's a word for that: it's called opposition research. A key lesson from all of this continues to be that bureaucrats accountable only to their union bosses are given the power to decide what "social welfare" is, whether a group is a legitimate "social welfare" organization, and how much scrutiny they should receive. You’re minding your own business in 2009 when you start to receive dozens of applications from right-leaning groups, applications you didn’t solicit and don’t require. You peruse a few of the applications and it looks like many of the groups, while claiming to be “social welfare” organizations, have an overtly political purpose, like backing candidates with specific ideological agendas. Suffice it to say, you don’t need an inquisitorial mind to decide the applications deserve careful vetting. But the Washington Post says the numbers don't add up, and neither does the timing. In 2009, tea party groups were not targeting specific candidates, but were still content to attend marches and rallies. It took a lot of work educating people who didn't want to be involved in on-the-ground politics that they needed to be involved. Longtime non-profit attorney Cleta Mitchell notes the problem is still going on. If the IRS is innocent and merely doing their job, why did the President say it was unacceptable? The narrative has shifted. Lois Lerner, who refused to testify to Congress, will see an end to a long Civil Service career. Pressure will be applied, Chicago-style, until she resigns. The sacrifice of Lerner and others at the IRS should not put an end to the controversy. The scandal is not just that the IRS is targeting conservative groups, nor even that they are demanding details they could only have wanted for partisan political attacks. The real scandal is that, with a $4 trillion annual budget funding this government, it will happen again. Voices from both sides of the isle- both Democrat and Republicans- have expressed their concerns at what the IRS did and continue to take actions to seek the answers as seen by the unfolding events of this week. So trying to spin this as anything other then that is itself a somewhat "weak narrative" in of itself. So because both parties are expressing outrage, that means ... what?